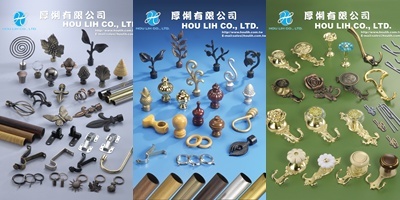 A 22-plus-year veteran in designing, making and selling metallic door, window and cabinet parts and accessories, Hou Lih mainly offers curtain hardware as tiebacks, curtain rods, rod supports, pins, rings, cabinet pulls and knobs, as well as electroplated and veneered iron and aluminum tubing/piping in various sizes and types. 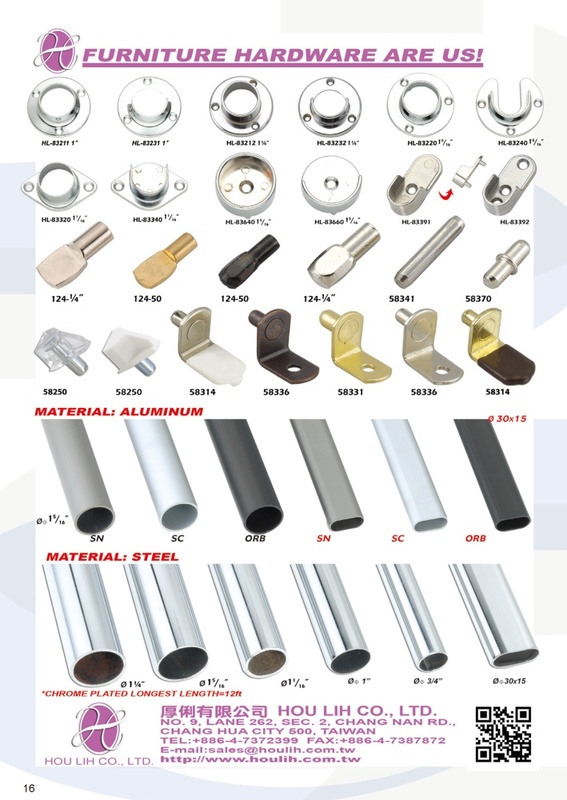 As a leading manufacturer, we are your best partner and OEM/ODM contractor, for we provide the best products, volume, along with competitive prices. Talk to us to see how we manage to fully meet customer needs to win their trust. 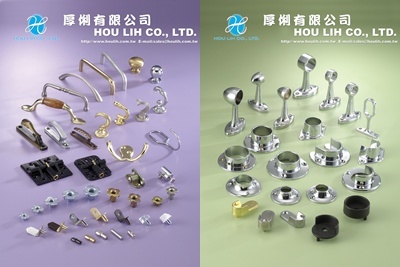 We are specialized manufacturer of a variety of Curtain Accessories, Steel Poles, Zinc-Alloy products, K/D Furniture Hardware and so on. Cusomer's designs and samples are highly welcome.